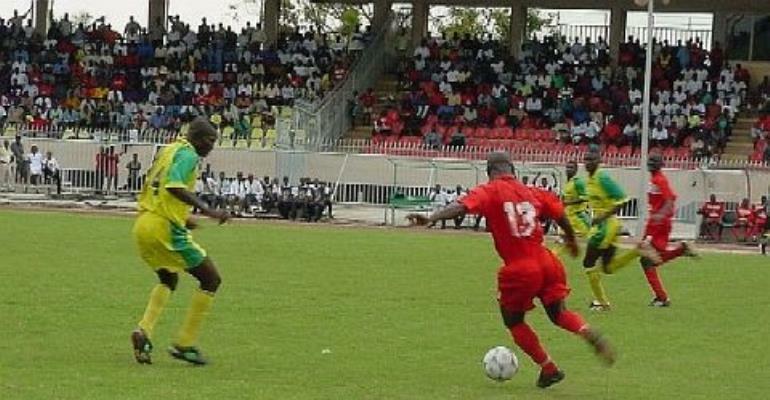 The new Ghanaian domestic football league season is been set to kick off in April after members of the professional league board association agreed to the possible start date for the 2005 soccer season. Members of the professional league board met over the weekend to deliberate on the 2005 soccer season and the date for its commencement. Mr Abra Appiah, chairman of the PLB told Joy sports that after considering several start dates and various proposal, the body has tentatively fixed April 17 as the Kick off date of the new Premier league season. But before the PLB concluded discussions on its program for the coming season, it had taken some flak from premier league club Real Tamale United (RTU) over the long off-season period. A director of RTU, Jones Abu Alhassan, told Joy Sports that the long break before the commencement of the new season causes immense financial loss to the clubs, as they still have to remunerate their players. Abu Alhassan says the PLB has learnt very little from its previous mistakes, charging the league organizers to emulate the organizational approach of their English counterparts to the premiership.